I don’t have much of my own to say about ANZAC Day. Like many of my generation I am deeply ambivalent about how to commemorate some of the most horrific events of the twentieth century. Rather than muddle around in my own thoughts, I thought I’d share some beautiful and brutal things from friends that might help you in your own remembering-of-war, whenever that happens in your part of the world. [ANZAC Day falling] on a Sunday in 2010, my own church gathered 4 hours later for our normal church service. Our service was focused around ANZAC Day, with an attempt to acknowledge the tension already present in our place at times throughout the last century: between those who went to war, and those that stood against it. In 2010 we still had with us each week retired service people as well asregistered conscientious objectors. In 2010 one of our younger people was serving in Afghanistan, and some of our younger people regularly protest against injustices in the world. In our ANZAC Day focused church service we didn’t honour war and fighting. We tried to respect the historical choices made, the people who served God and country (however they expressed this), and above all the image of sacrifice Jesus can provide for all humanity, a story familiar to many churchgoers. In New Zealand, ANZAC Day is the only non-religious day where most shops are legally obliged to close. I guess that says something about the quasi-spiritual feelings many people about war. I KNEW A TURKISH MAN WHO owned a coffee shop around the corner from where I used to live. I have to say, it was not such a bad way to start the morning. And Anzac Day has been turned into what? Somewhere buried underneath the new carpark at Anzac Cove is an ordinary human heart. But all this spiritual inflation and emotional conscription – the modern media event, the manipulation for political advantage – they’ve put a big thumping hoon outboard motor on the back of a tragedy. 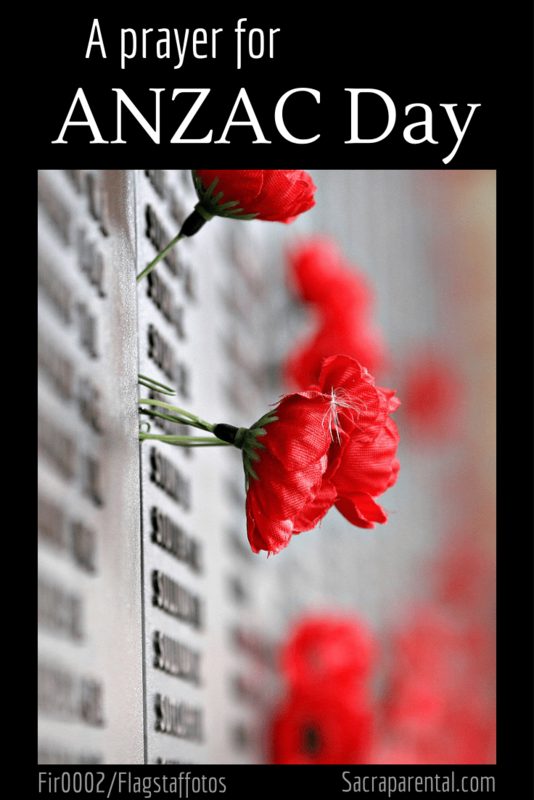 Anzac Day, it seems, must now be done with bluster, hoopla and media hypnotism. Like the landing and the campaign itself, there is something appalling about this in the eyes of many Australians new and old – some disgraceful misuse of humanity by the wielders of political and economic power. On Anzac Day, coffee and jokes with a Turk might be the most meaningful and fair dinkum dawn service you could possibly have. In an earlier article, Leunig writes strongly about the imbalance between remembering those who fought and remembering others. For a pacifist perspective of war memorials – and if you don’t mind risking offence if you feel strongly about honouring soldiers – you can read that piece here. Poppy is a short film based on the writer’s great-grandfather’s experience of World War I when he and his mate found an orphaned baby. It’s a tough watch. If it doesn’t play for you below, you can find it online at NZ Onscreen. Many thanks to Brenda from Cityside Baptist who said they watched this as part of their Sunday gathering one year. They pondered and discussed questions of goodness, redemption, hospitality and mercy. You might like to spare a thought or a prayer for the parts of our world on this very sad – and long – Wikipedia list. This New Zealand website commemorates people who suffered while working for peace. After an evening of reflecting on all of this – my husband is preparing to lead a prayer service at dawn – I found I did have some things to say. Some of them will wait for another day, but here’s one thing from me: my prayer for ANZAC Day, for, I think, pretty much all of us. and reach out to us in our imperfection. and need your reaching out even more. We ask your close care for all who suffer in war. who bear scars on the inside and outside. who stand and fall for non-violence. God bless and keep the children whose childhoods war steals. Fill the gaps with your boundless and eternal love for them. The leaders, the followers, the cheerers, the beneficiaries.